5 Questions To Ask Your CDMO: #5 — What Is Your Employee Turnover? As molecules make their way from discovery to commercialization, there is often a need for specialized technology. This might be a capability, such as the ability to handle certain classes of molecules, or it could be expertise with developing a particular type of formulation. In those cases, a customer often seeks out companies with a reputation in these areas. That expertise is the result of the company’s institutional knowledge. As straightforward as it sounds, institutional knowledge is actually quite a complex subject and consists of several components. First, there is any equipment a company might have that enables a certain technology. Having certain pieces of equipment is often indispensable for particular technologies. For example, without isolation equipment one cannot safely handle potent compounds. Second, institutional knowledge also consists of documentation, such as SOPs. These documents might describe how the equipment is to be used, but they also cover more general topics such as product isolation, cleaning, and maintenance. This documentation is usually a combination of information from equipment manufacturers and in-house knowledge. Finally, the last and most important part of institutional knowledge is people. Equipment and procedures are of limited use without trained and competent staff. While it’s common to say a company has experience with a certain technology, it is, of course, the people at that firm who, through their experience and know-how, are able to utilize equipment and procedures in successful applications of technology. As outlined above, I consider people to be the most critical component of institutional knowledge. Documents such as SOPs and equipment manuals are usually in place at companies that have a track record in certain technology areas. And while equipment can certainly be expensive (which often provides a barrier of entry for new competitors), it can be easily acquired or replaced. Losing key staff, however, should be a major concern for companies. Quite often the success of a project hinges on a scientist’s knowledge of small details, which comes from years of experience in that field. This is also the reason for some of the challenges often observed during technology transfer. Even the best manufacturing batch records and technology transfer documents cannot capture the knowledge a scientist or plant operator has developed by working in a certain area for years. That person’s skill is the key ingredient in the institutional knowledge that enables a company to successfully deliver a project. And quite often an operator’s ability to efficiently and successfully operate any equipment is gained only from a combination of hands-on experience and reading SOPs. Our industry has enjoyed several prosperous years with excellent growth and an incredible number of new startup companies. The resulting need for talent has created many new opportunities for people in the industry and resulted in very low unemployment in our sector. 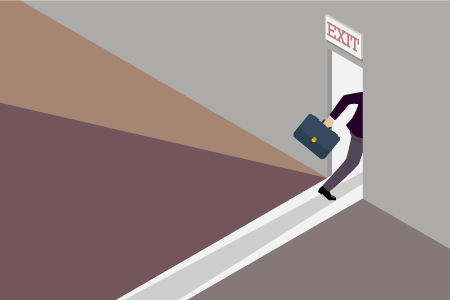 That, in turn, has resulted in an increase in staff turnover for many companies as employees have had more opportunities to move on to bigger positions. This turnover can significantly impact a company’s institutional knowledge. While companies can, of course, replace any individual who has left with someone with a similar technical background, it will take that person some time to understand all those little details that are specific to a company’s procedures and equipment. And, most importantly, what is almost always lost is the knowledge that isn’t written down or is documented in reports that collect dust in an archive — for example, which approaches were tried many years ago and what worked and didn’t work when a solution for a particular problem was being sought. There are, of course, rare occasions where someone’s skills and the requirements of a job simply don’t match. However, in the majority of cases losing key staff should be a concern for any company that wants to preserve its institutional knowledge. Ask your CDMO what their historical employee turnover has been. In cases of high turnover, what procedures does the company have in place to ensure a key competency is not lost? Are there training courses or mentoring programs in place to ensure new employees quickly become skilled in certain areas? How many individuals at your potential partner are experts in the technology you are interested in? And how long do new employees have to undergo training before they might perform a key step on your next project? In this five-part series, we have discussed a wide range of topics that are important when selecting your CDMO. We started by outlining the importance of having services that are integrated in practice and talked about learning from failure and the importance of solid form control for today’s poorly soluble drugs. We also explored the challenge of finding a company’s sweet spot and the importance of institutional knowledge. Bernhard J. Paul, Ph.D., is the founder and principal consultant at Carinth Consulting LLC, a drug development consulting firm based in the Boston area. He has worked in biotech and for multiple CDMOs in the U.S. and Europe, and he uses his extensive experience to advise companies on all aspects of small molecule development and strategy. Dr. Paul is the author of 21 U.S. patents and multiple peer-reviewed articles. He holds a Ph.D. from the University of Florida and an undergraduate degree from the University of Graz, Austria. He can be contacted at bernhard.paul@carinthconsulting.com.